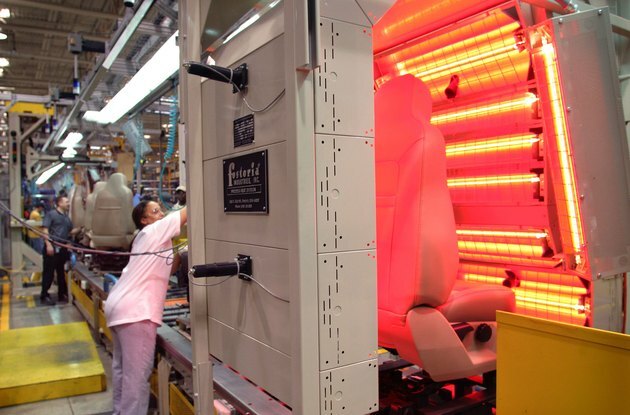 An infrared heater moves heat at a high temperature to a target with a lower temperature through electromagnetic radiation. Infrared heaters are commonly used to heat places like patios or individual rooms in a house. You can troubleshoot a heater when it will not turn on or does not function properly. If the heater will not turn on, make sure the power source is working properly. 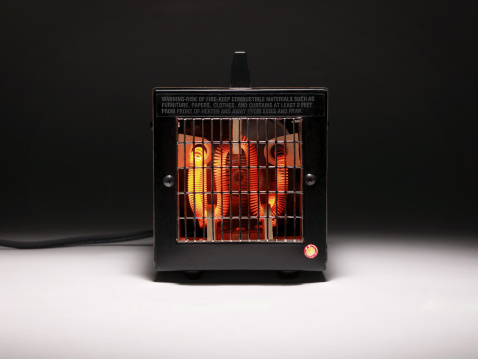 If it is an electric infrared heater, check to make sure the unit is plugged in and that the cord is free of damage. Check that the electrical socket is working properly by plugging in a known working appliance and checking that the circuit breaker is working. If you are using a gas-fired porch heater, check to make sure the propane is filled, properly connected and that the gas valve is turned to open. Make sure you hear the gas coming through the heater before your try to ignite it. If you do not hear any gas coming through to make sure the valve that releases the gas is working properly. Most gas valves will give you a series of clicks when they are working correctly. If you are using a porch heater, check all the hoses for leaks to ensure that the heater is getting the proper amount of gas. This will also prevent injury. To check for a leak, take a spray bottle and fill it with one part soap to three parts water. Spray this liquid along the connecting hoses. Turn on the gas. If any bubbles appear along the hoses, you have a leak in your system. If you do not see any leaks and your heater is still performing improperly, take off the hoses and blow them out. Over time debris, such as dust, may get stuck inside the hoses, causing the flow of gas to be inhibited. Check the front of the heater for any clogs. Make sure to clean the front grill of the heater regularly to keep heater's air flow from being restricted. If you do not get any air flow, make sure the fans are turning. If you have just turned on the heater, give it time to warm up, as the fans will not turn on immediately. If the fan is moving slowly, clean the air filters according to the instruction manual. Clean off the rear vent as well, vacuuming if needed. What Causes Excess Soot Buildup in a Propane Furnace?